According to a famous Latin proverb, "He who is everywhere is nowhere." In computing, that's not exactly true. Linux is becoming much more pervasive: it's powering far more laptops and desktops than ever before, delivering music and movies to the living room on digital media adapters, and becoming ubiquitous as a development platform at high-end video effects studios such as Industrial Light & Magic, which used to rely on Windows and Mac. Yet, many gadgets do not run Linux and rely on a proprietary OS instead. For the industrious Linux user, there is no mountain that cannot be climbed and conquered. You can install Linux on just about anything that has a processor, a monitor, and some spare storage. Before you get started on these installs, follow a few basic guidelines. 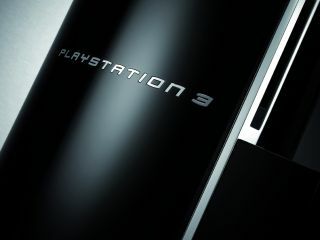 First, for an expensive device such as the Sony PS3, make sure you understand the warranty and any risks of damaging the device before you install an alternative operating system. Back-up all of your data, since there is a high likelihood that installing Linux will replace your files. Even in instances where it appears the data will be safe, such as making a new partition for the install, you should still plan for failure: sometimes you can install data safely on a partition, but in doing so you make the entire disk inoperable and must reformat and reset he machine to a factory default state. Installing Linux on a Playstation 3 (PS3) is easy, and it's actually supported and encouraged by Sony. The company seems more than happy to allow end users to extend the power of the large black video game console, and it's a bit of a snub in the face of Microsoft (which as locked down the Xbox 360 so tight that no one has figured out how to easily install Linux to this day) that installing Linux is a simple menu option in the console menu and a reboot that enables you to install a distro. Now, the only difficult part of this install is that you may have to try it a few times before it actually works. The PS3 can sometimes balk at two separate steps in the process: running the bootloader, and installing the right version of the Fedora distro. Some users have reported no problems with either step, so your mileage may vary, but if you get stuck, just start over and try again. You'll want to start by preparing the PS3 for the install. Grab a USB keydrive (any size will do, since we'll be copying very small files at first) and plug it into your PS3. On the PS3, use the XMB (the operating system for the PS3) and go to the Game menu, then select he Saved Data Utility. Next, download all the files you will need for the install. The bootloader is here. The Linux installer (an official Sony PS3 Cell processor installer) is here. And the Linux ISO file (which is Fedora Core 5 distro) you want is here. In the bootloader file that you downloaded, you will see a file called otheros.self. Copy it to the root of the USB drive. Use a program such as PeaZip to open the Cell ISO file (the Linux installer) and look for another file called otheros.bld – it is in the kboot folder.